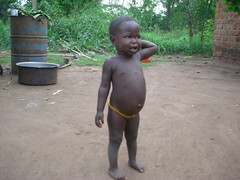 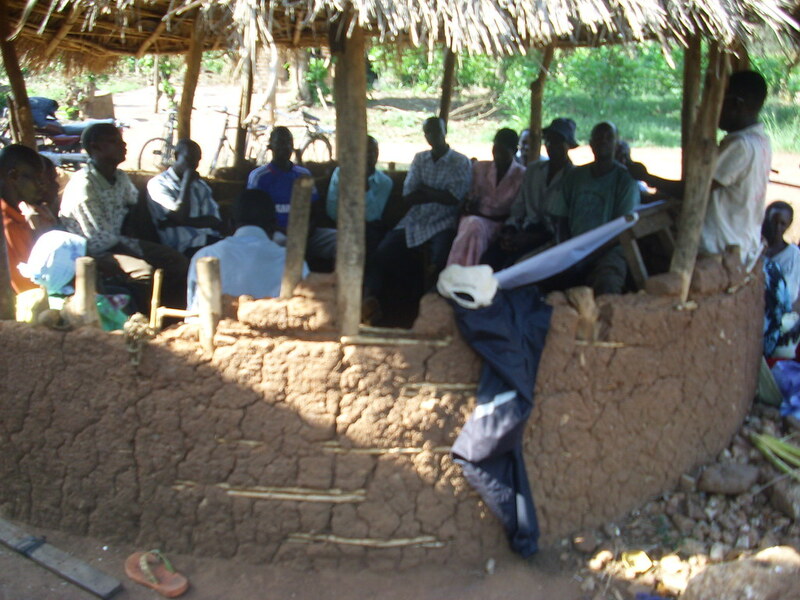 Kisula Mafumu village is located in Makulubita Sub County in Luwero District. 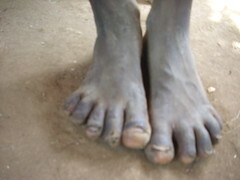 The District Lies amid Latitude 2 degrees North of the Equator, and between longitude 32 and 33 east. Luwero was the site of a brutal insurgency by the rebel National Resistance Army and a brutal counter-insurgency by the government of Milton Obote, known as “the guerilla war”, that left many thousands of people dead during the early to mid-1980s. The area affected by the war has come to be known as the Luwero triangle and still struggles from the effects to this day. 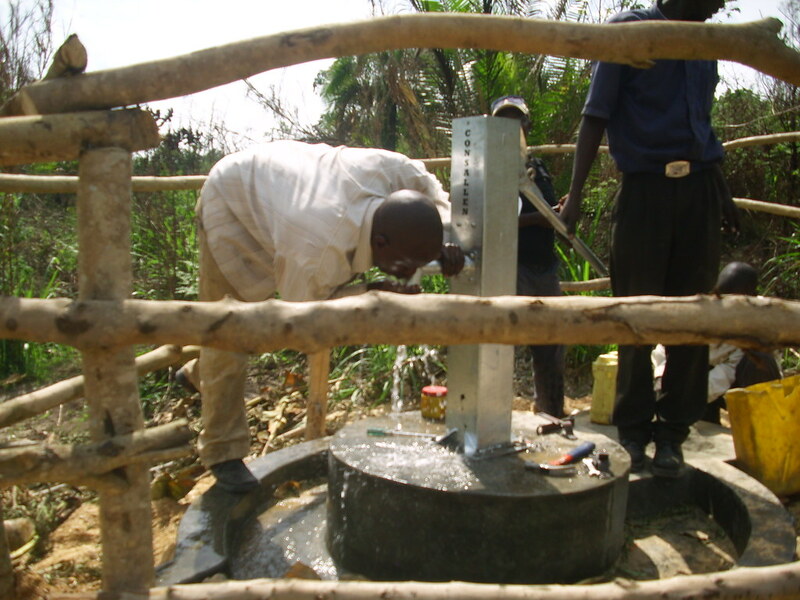 To identify Kisula Mafumu village we had to link up with the sub county political and technical leadership and Kisula Mafumu was pointed out as one of the under-served villages in terms of safe water coverage and sanitation standards. 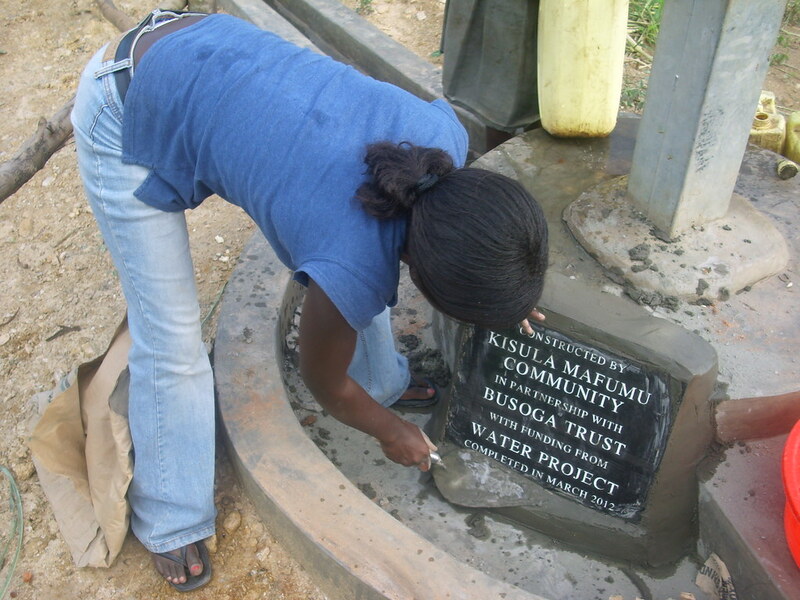 Kisula mafumu lies in the same parish (Makulubita) as Kikoko, and is located about 4km away from Kikoko village. The village has 41 households with a population of 161 people. 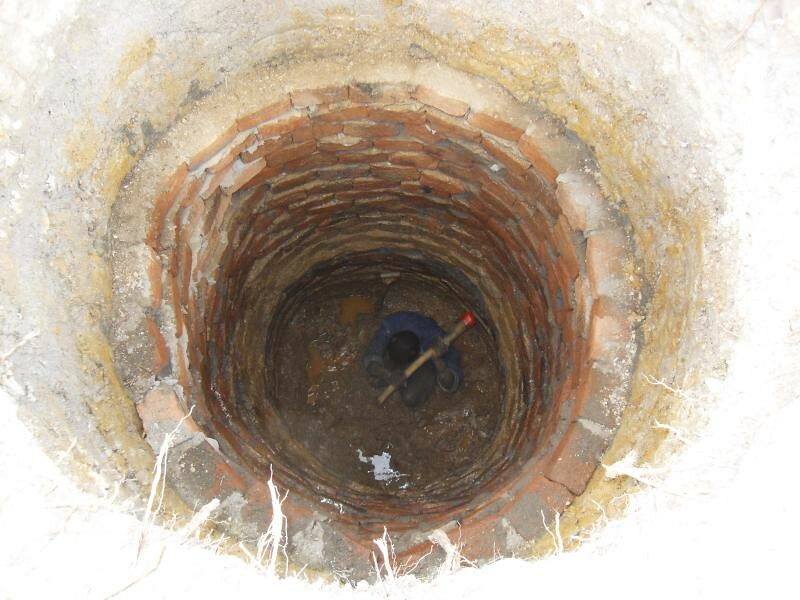 It is located on a hilly and rocky place, which made site identification very challenging. 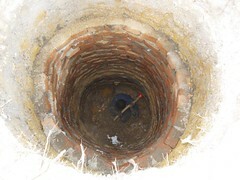 The well was eventually sited down into the valley where some soft soil formations were identified. 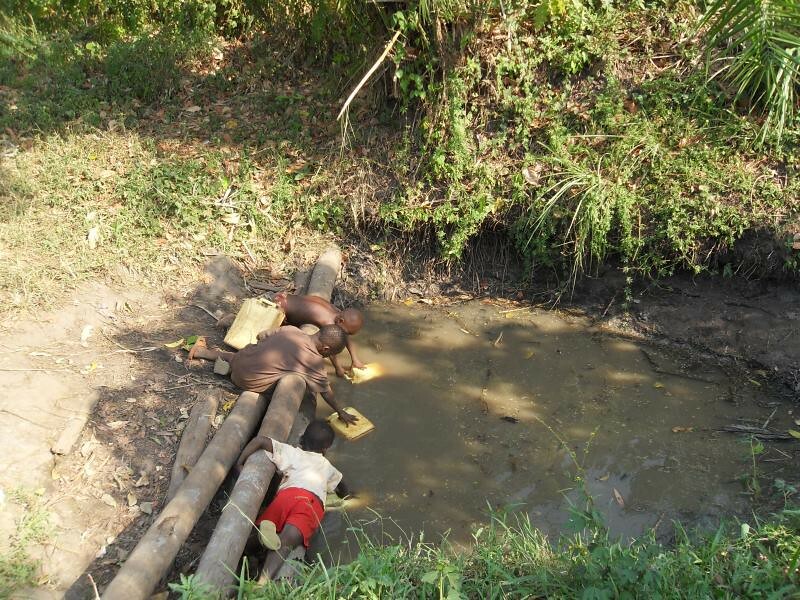 The village had no protected source around and this was attributed to the general geological nature of the place that was scaring away other organisations that wanted to help them. The whole community had to rely on the few un-protected traditional sources located down in the neighboring valleys. 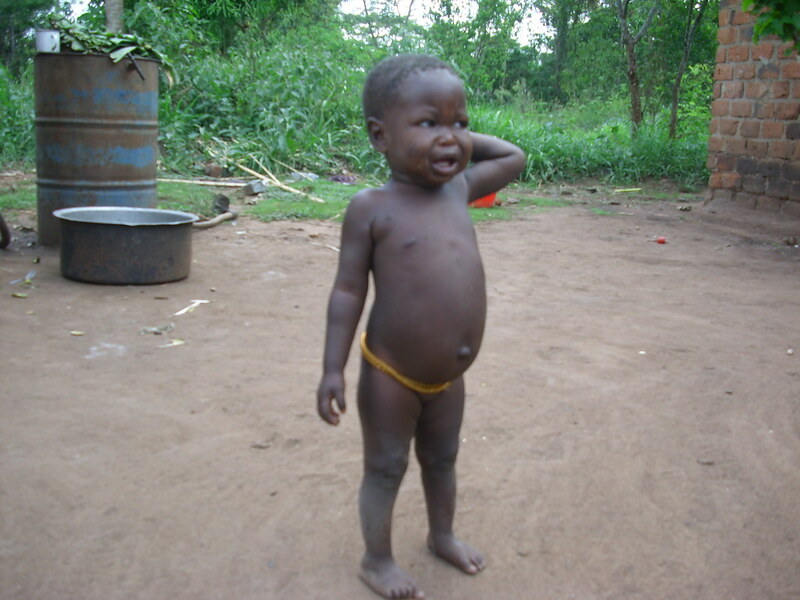 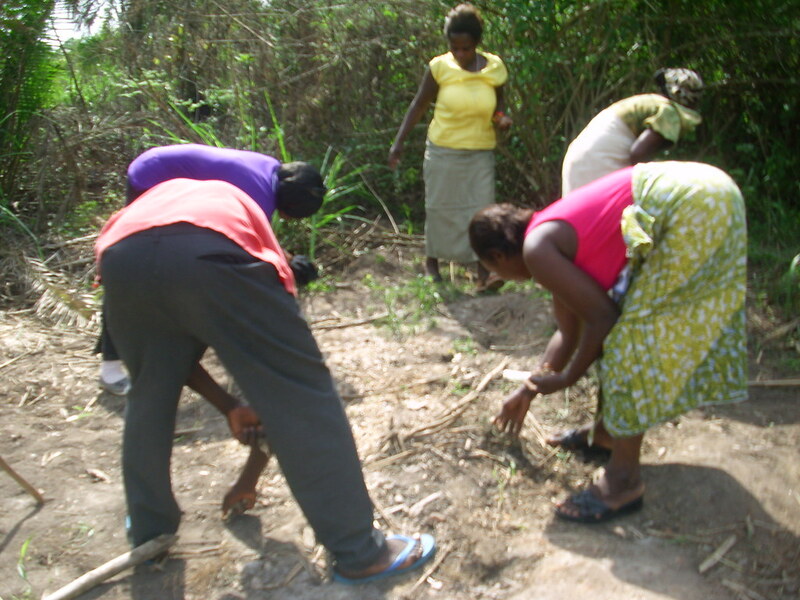 The community generally relies on subsistence agriculture as the main economic activity. 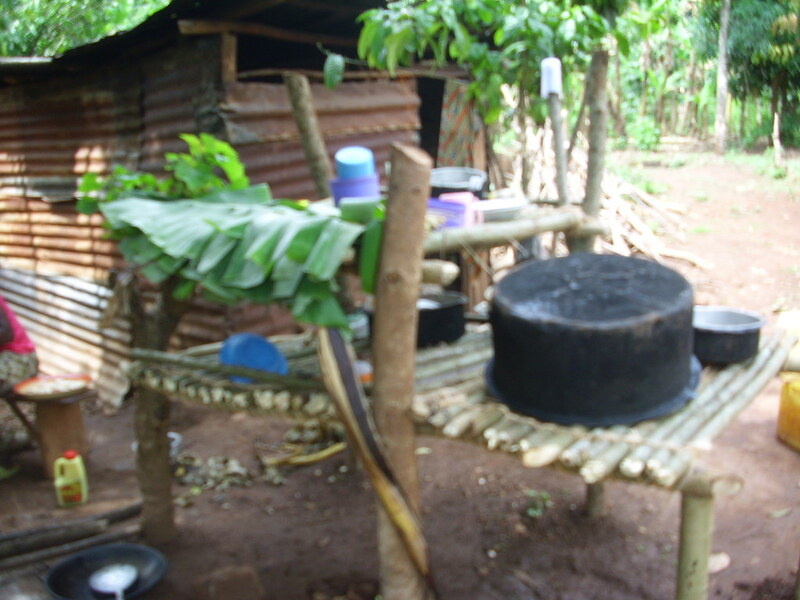 Matooke and maize are their main cash crops. 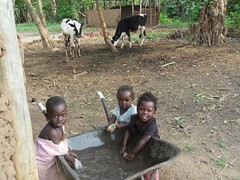 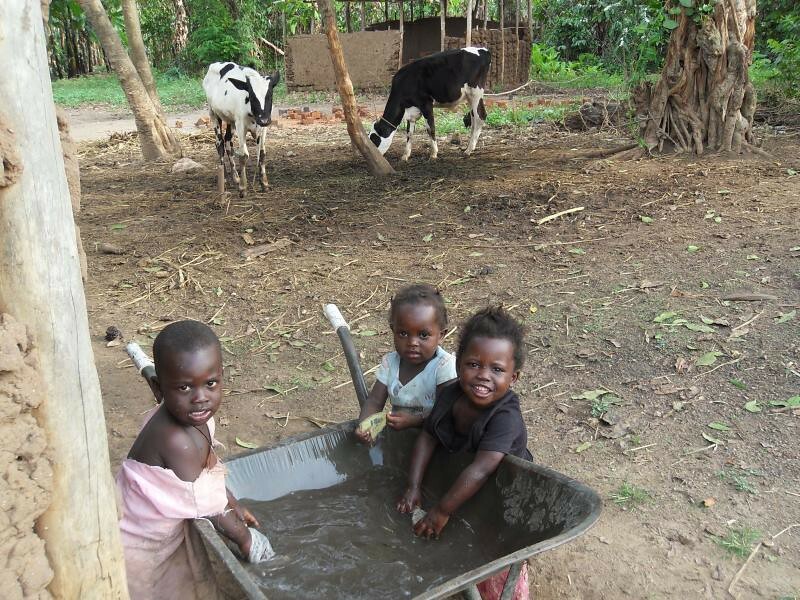 Almost all households keep some local chickens, goats and a few have one or two cows for milk. The chickens are mostly kept for selling and sometimes for the in-laws and extended family who receive them as gifts at functions. 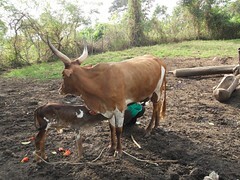 The goats are strictly for income generation and sometimes traditional ceremonies. 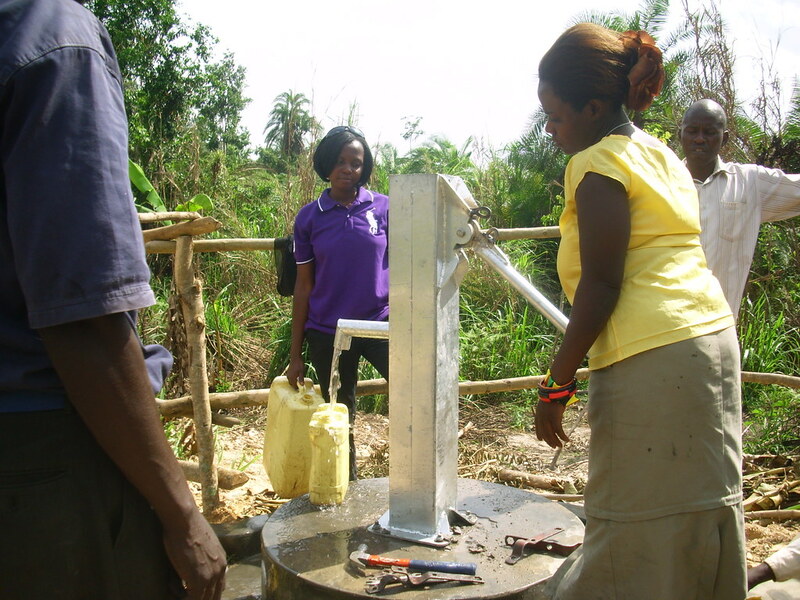 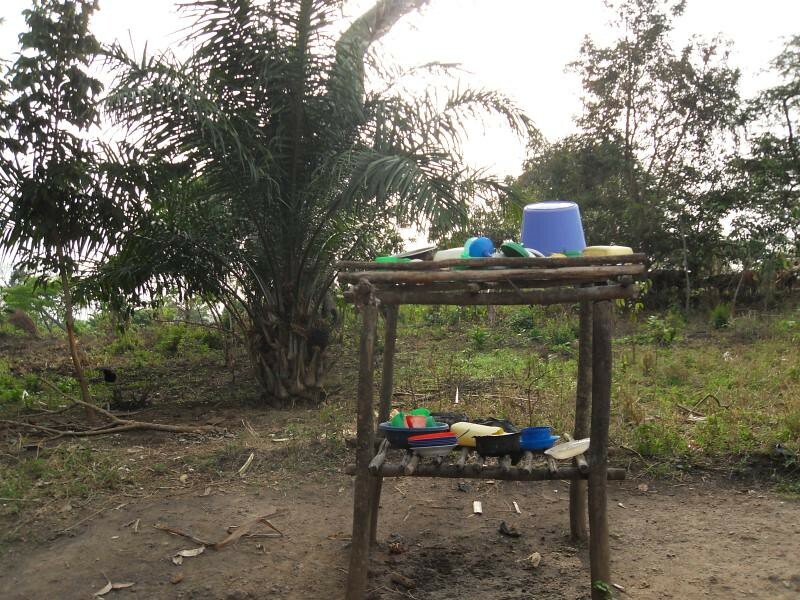 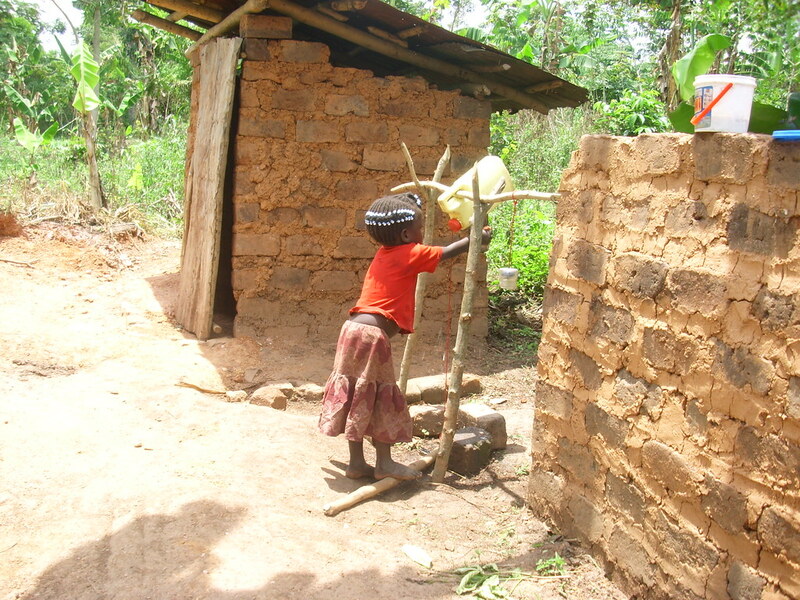 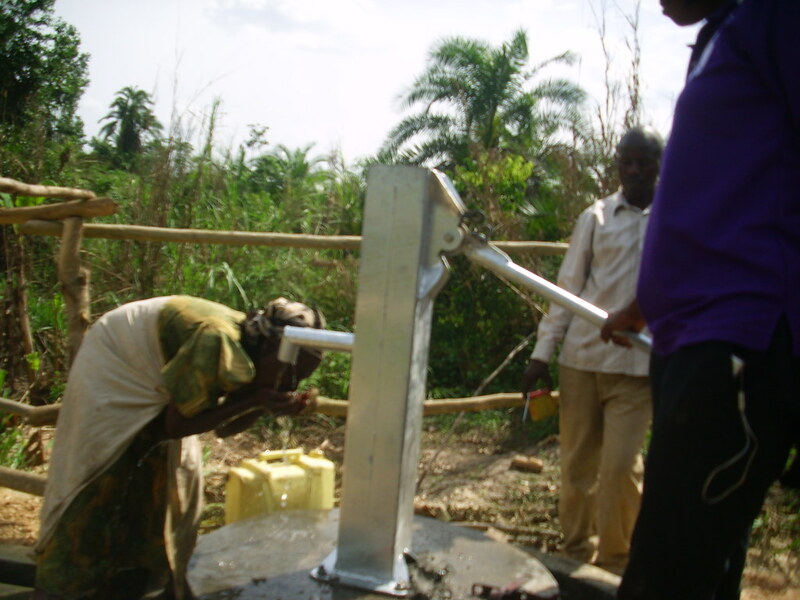 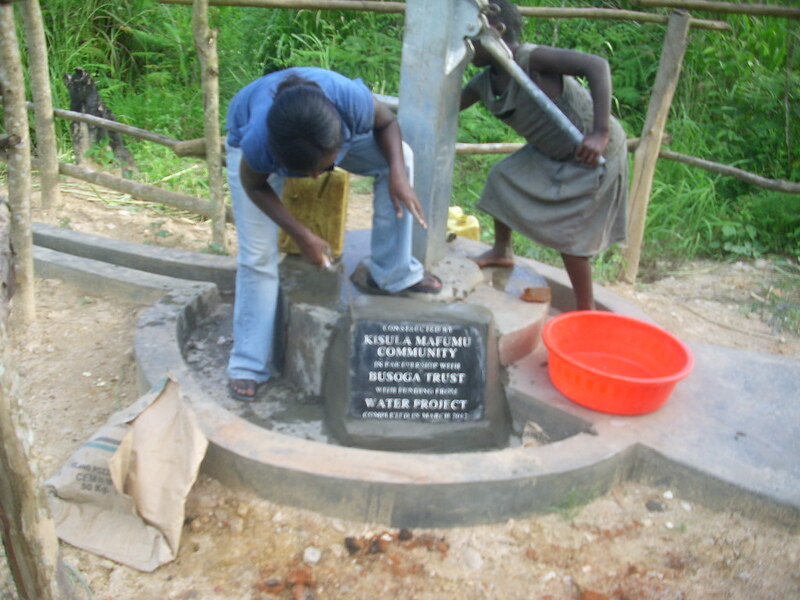 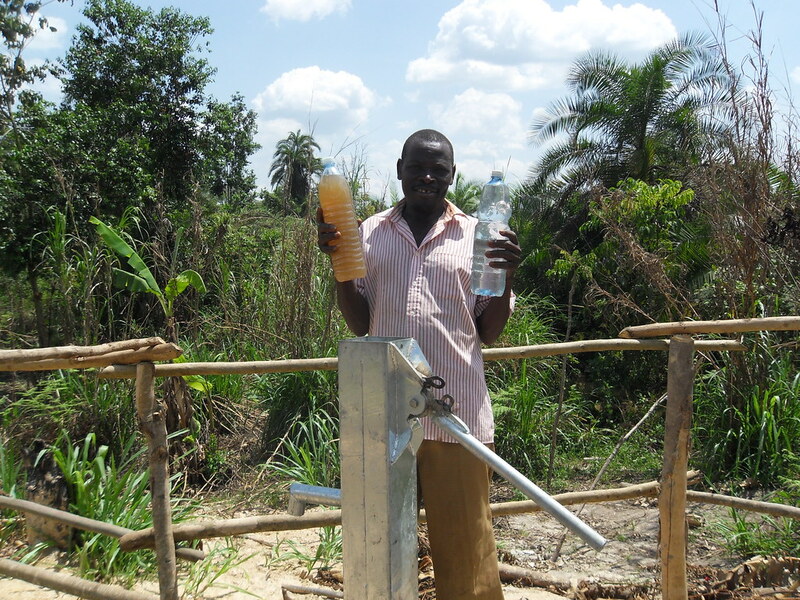 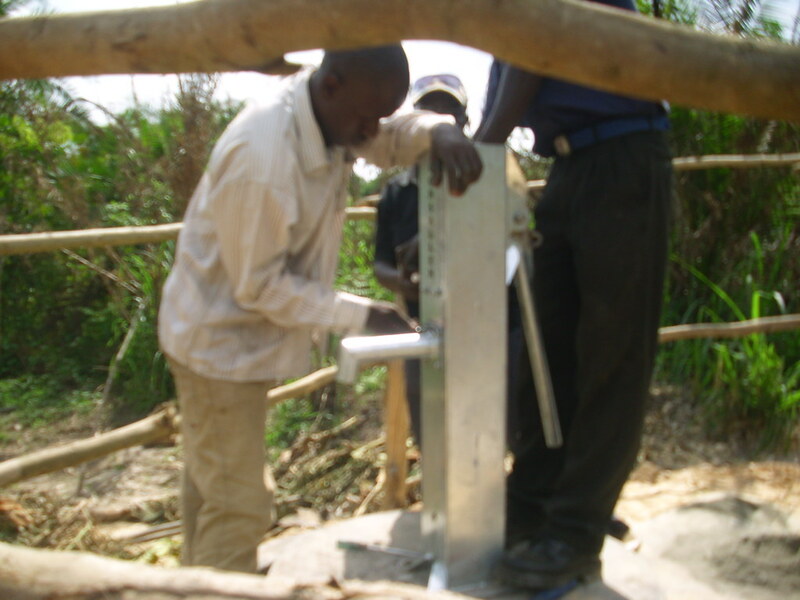 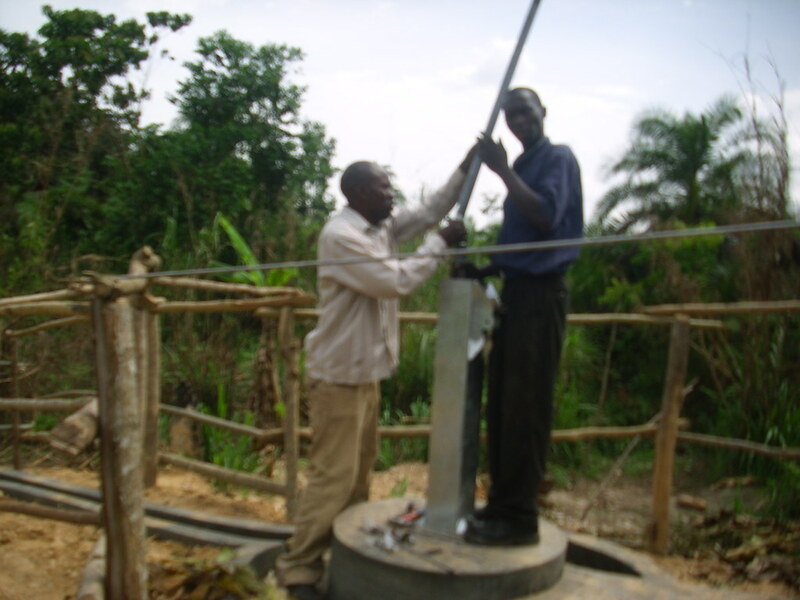 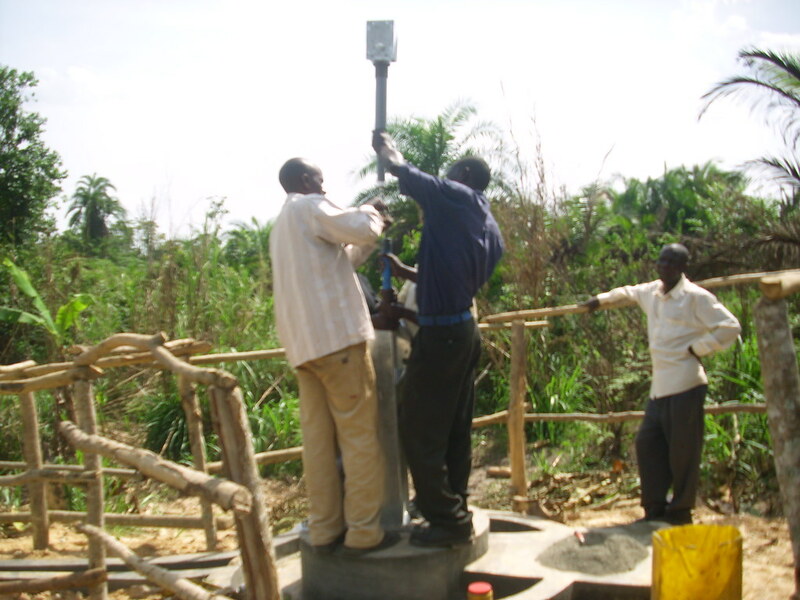 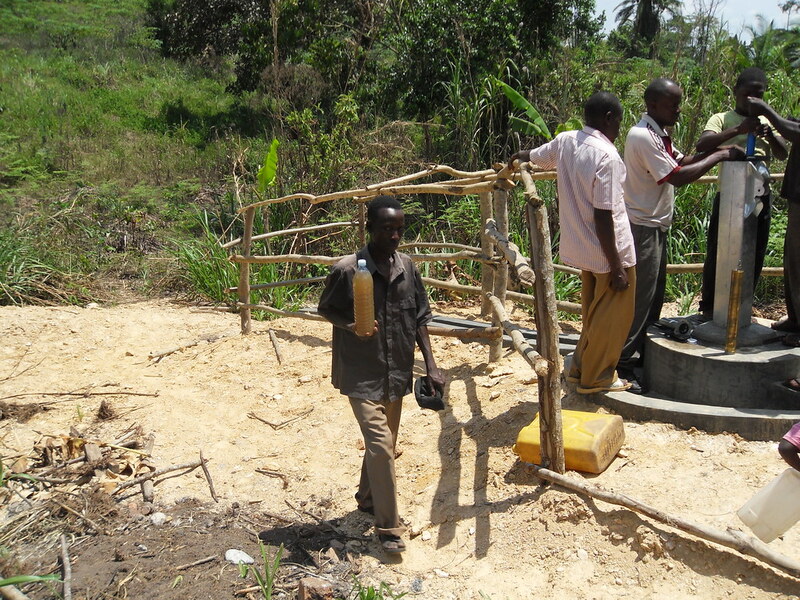 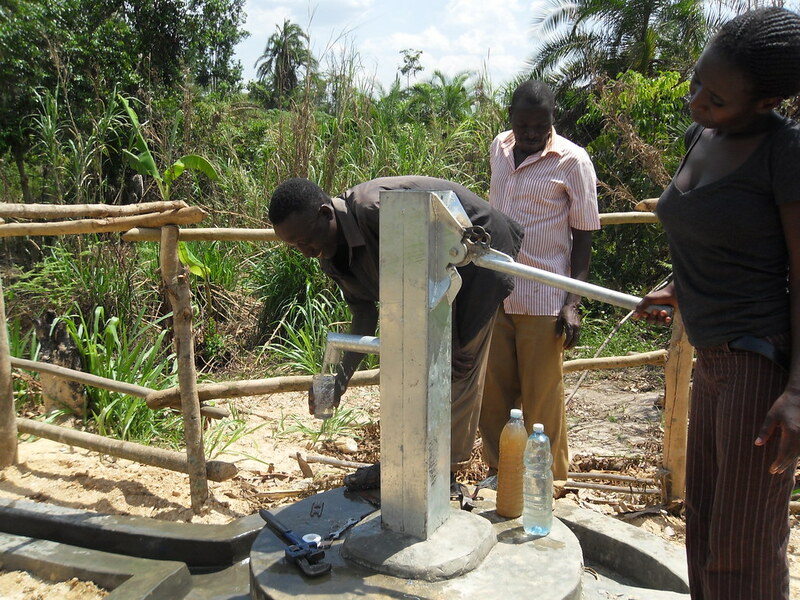 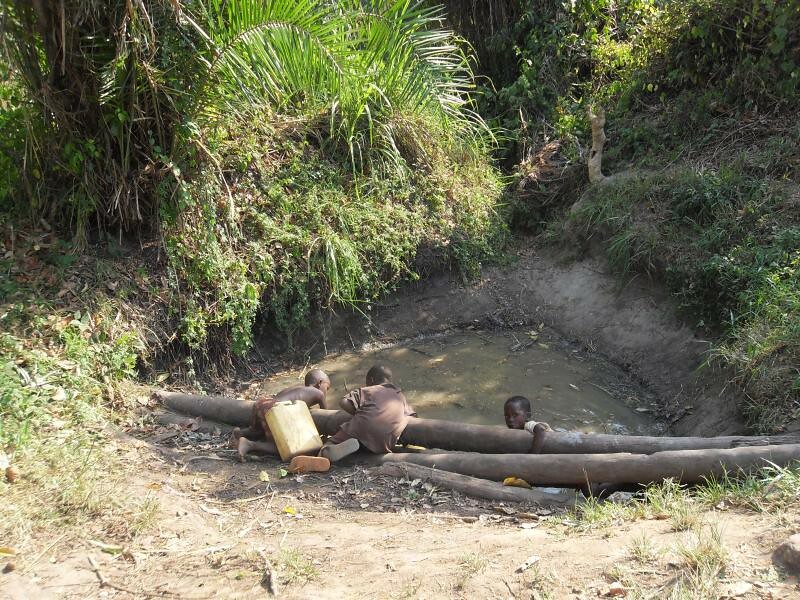 13th March 2012 – We visited Kisula mafumu but the installation could not be done because the well had just been completed and the structure had to be given enough time to cure. However, we set Friday the 16th of March as the installation day and the community informed about it. 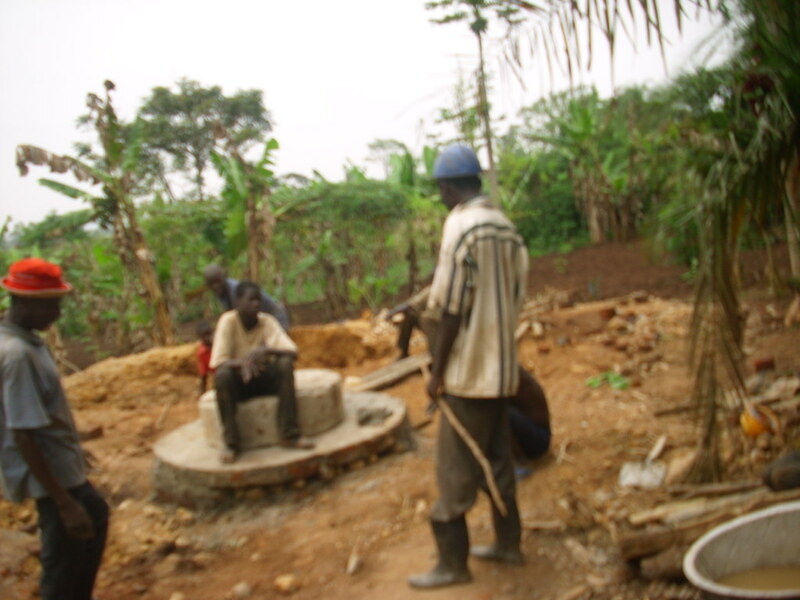 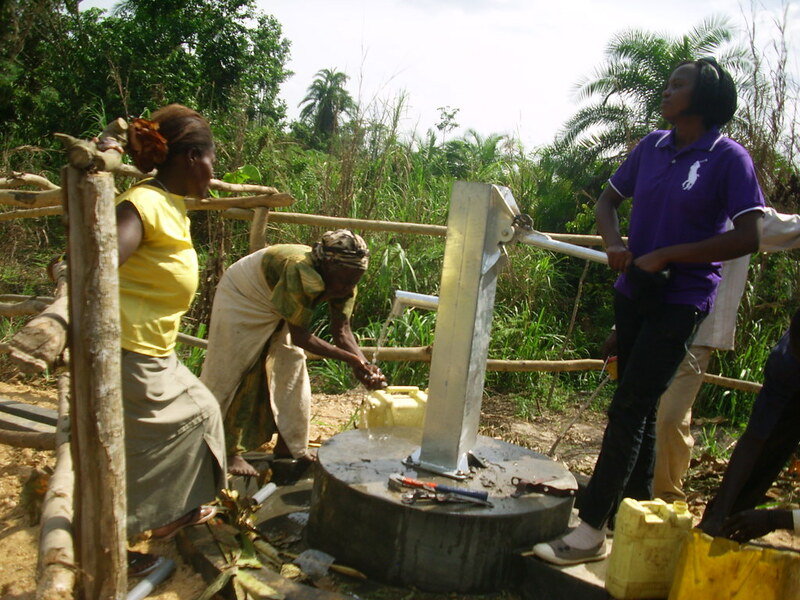 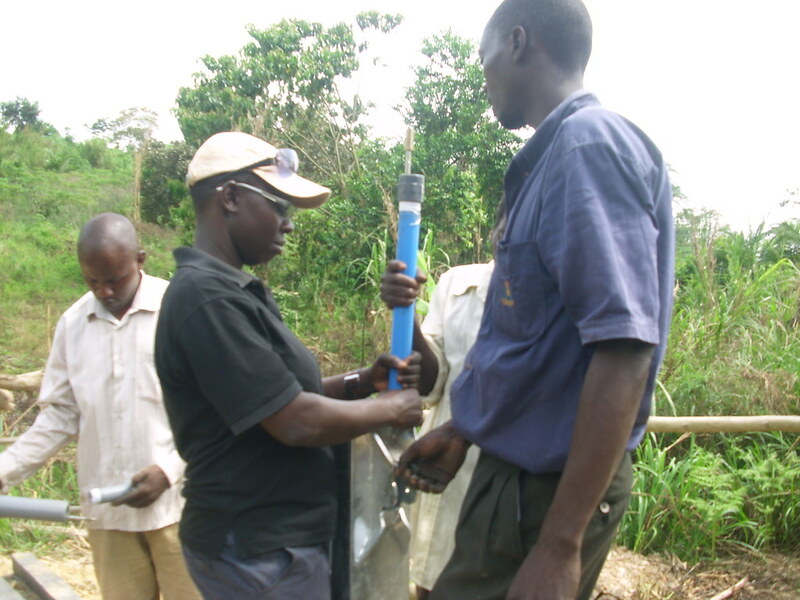 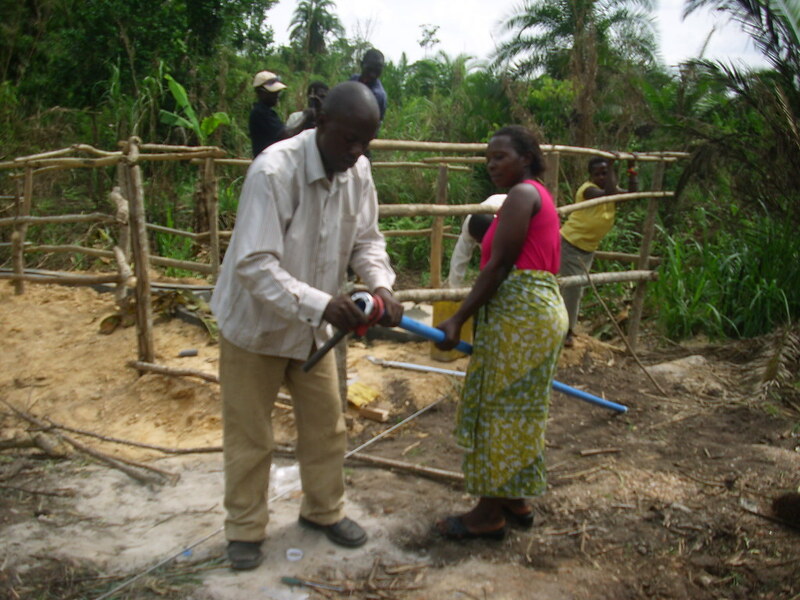 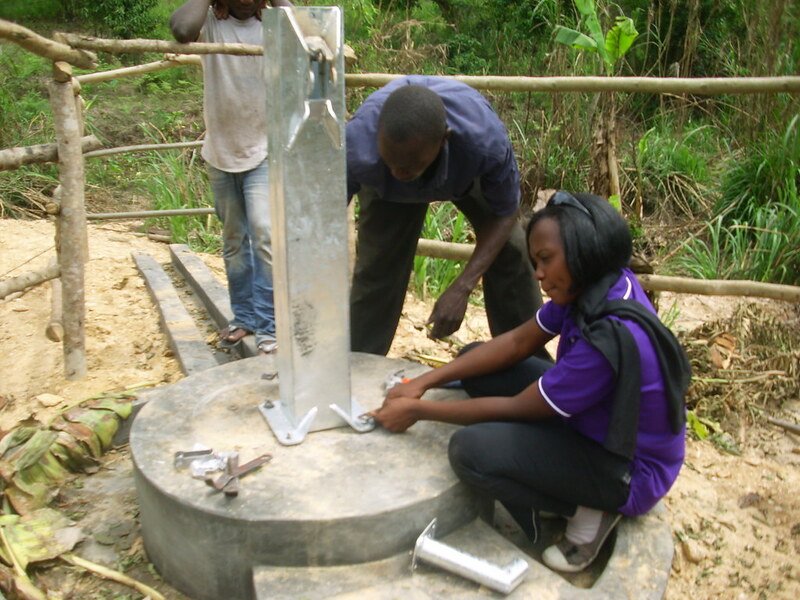 16th March 2012 – The technical supervisor Dan and a social worker Christine and Carol an internee were able to travel to Kisula mafumu to install the well. 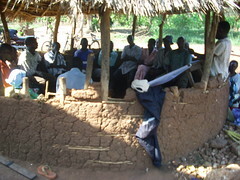 However ,on the same day some community members were attending another meeting on village saving schemes and were not around to witness the installation. A few people were mobilised and the installation carried out. 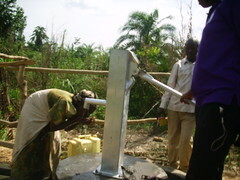 Those who attended were happy and thanked Busoga Trust for helping them to have this water. They tested out the pump and also drunk water to show that they were happy to have the clean water. 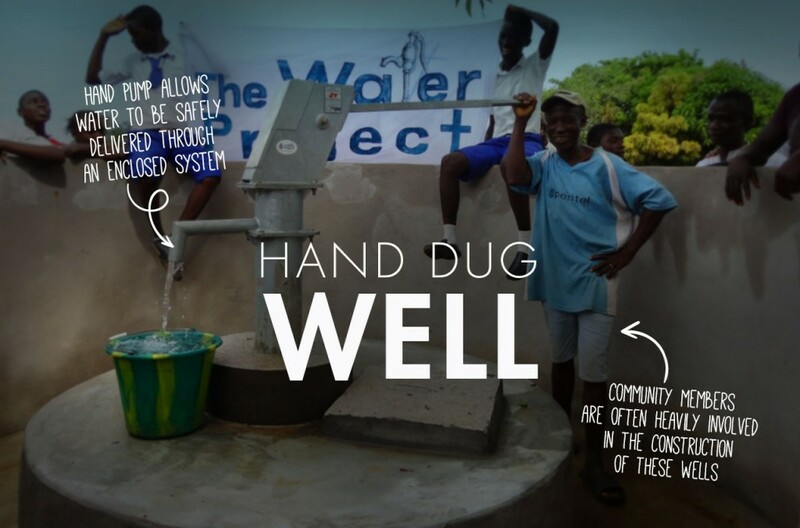 After the installation the social team gave a maintenance message to accompany the installation as a way of ensuring proper use and maintenance of the well. 25th Jan. 2012 – A planning meeting was held with the community to try and develop a work plan with the community on how we were going to construct a safe water source for them. 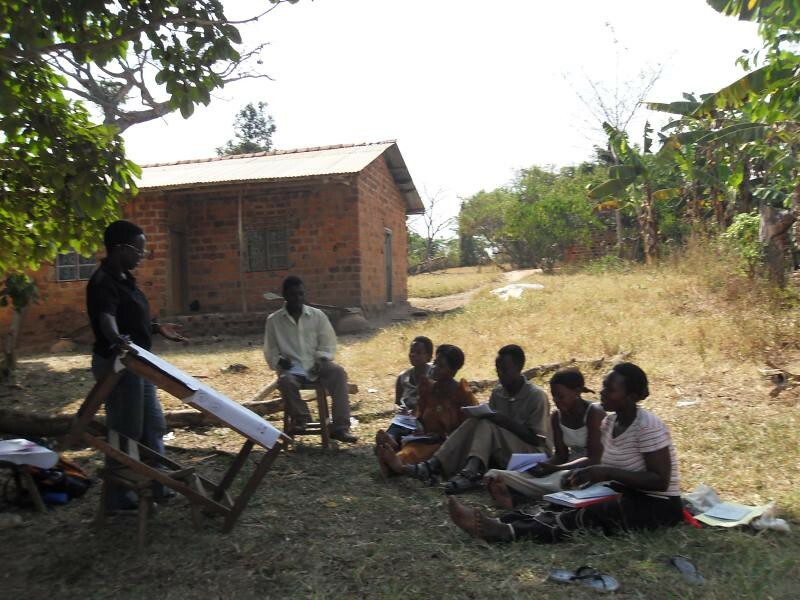 We had to clearly allocate roles to each stakeholder, the community who are the beneficiaries, the local leaders and Busoga Trust as an organisation. 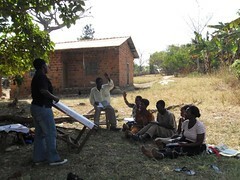 In this meeting, we also had to decide on where to position the water source. 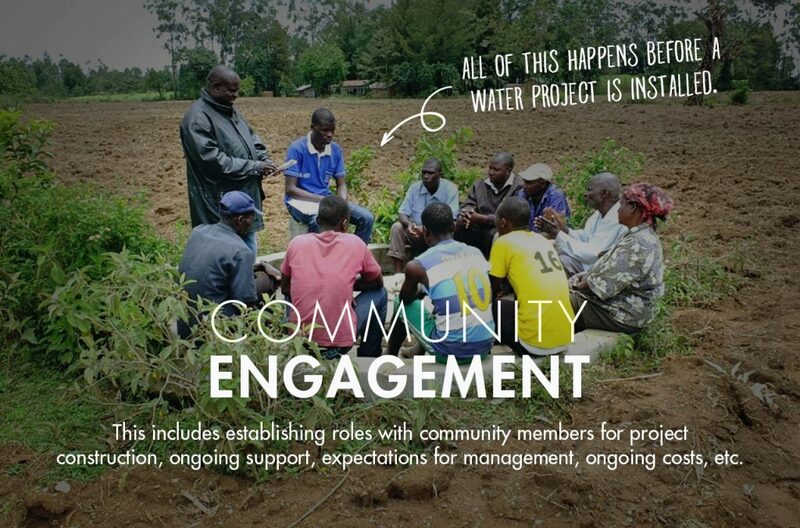 The meeting was concluded with emphasis on full participation of every community member and a water user committee was elected to oversee the success of the project. 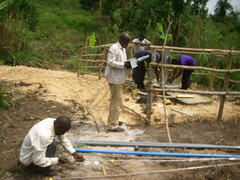 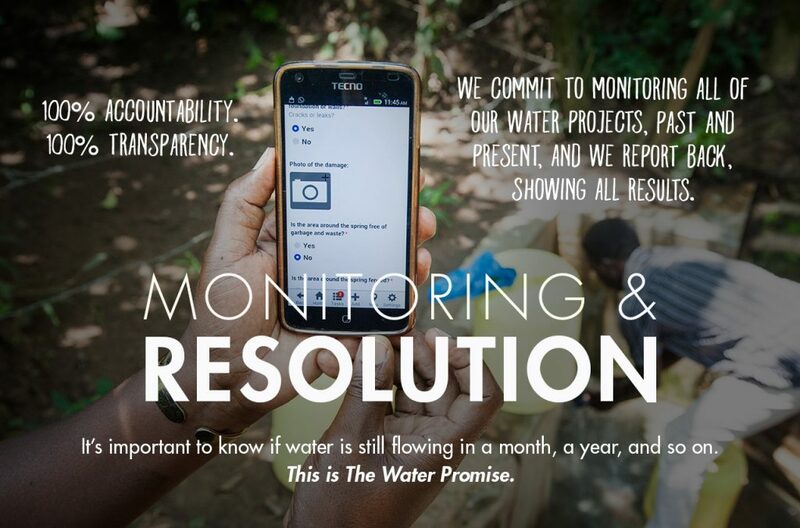 8th Feb. 2012 – The selected water user committee was trained in mobilising their fellow community members to take part in the well construction, improvement household hygiene and sanitation and also financial skills of collecting and accounting for the received funds. 10th Feb. 2012 – excavation started on the well with a very high turn out by the community members. 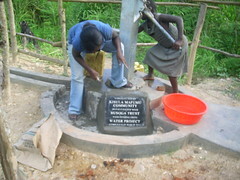 The community was excited because this was to be their first protected well in the village. 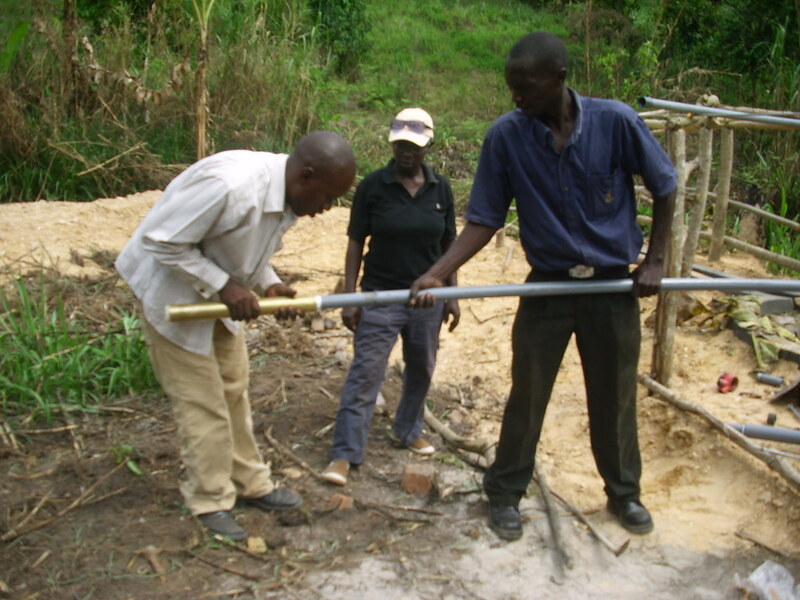 12th Feb. 2012 – the site was changed downwards into the valley because the initial site was very hard to dig and the community with guidance from the technician located another place to start another trial. 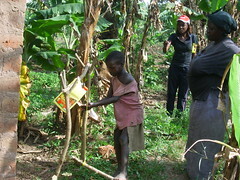 16th Feb. 2012 – on Thursday the socio team visited the community to make some hygiene and sanitation follow-ups within the households. They also distributed hand washing jerrycans to the different households accompanied with demonstrations on how to install them as tippy taps and also making dish racks. On the same day the technical supervisor visited the site and observed that the community was fully participating. 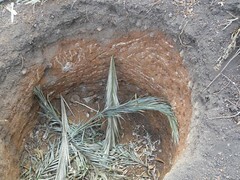 Excavation had reached 12ft with a water column of 2ft. 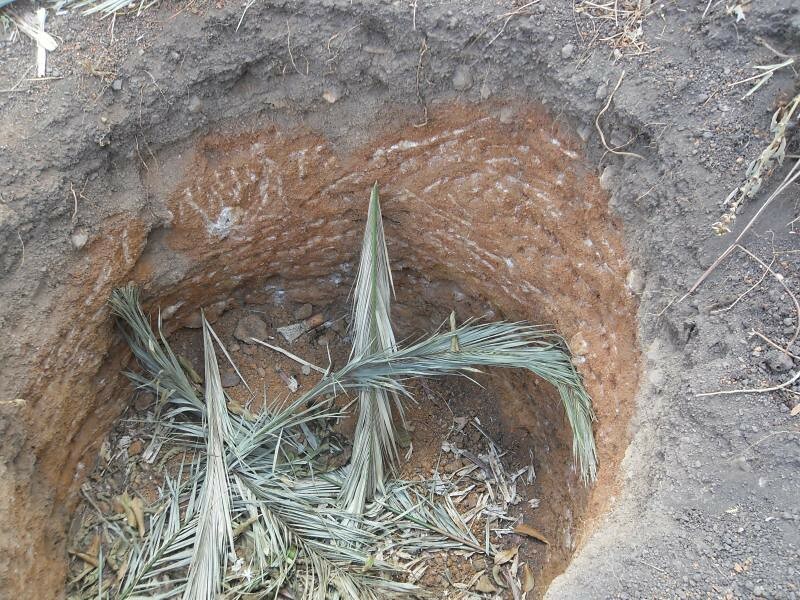 However, the new site had soft sandy/clayish formation that was not firm enough and a protection wall had to be constructed to stop soils from collapsing into the well. 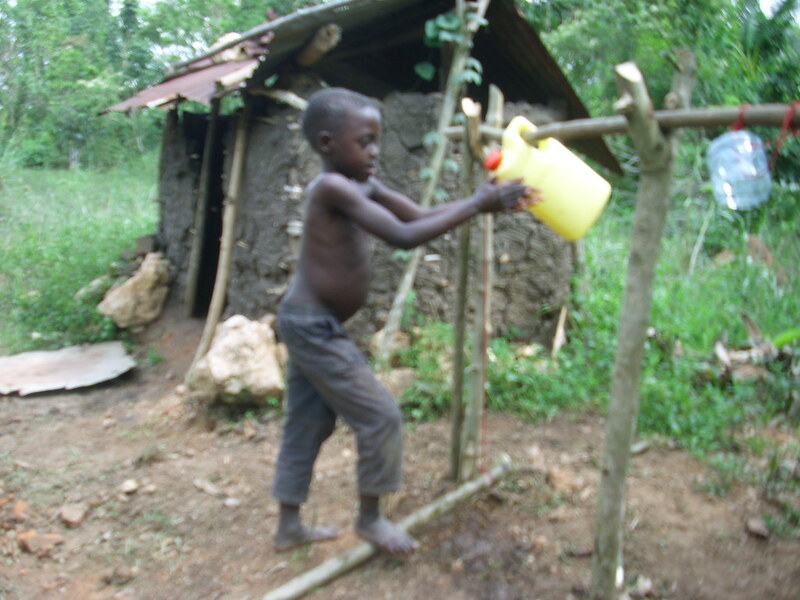 We also visited the traditional well and found children collecting water from it. 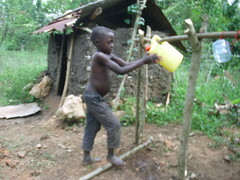 Some were balancing the 20 ltr jerrycans on their heads and others had come with bicycles carrying at least four jerrycans on them. 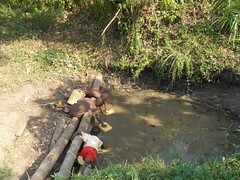 We sympathised with them for carrying all that weight of dirty water to their homes, it was like carrying diarrhoea to their homes. 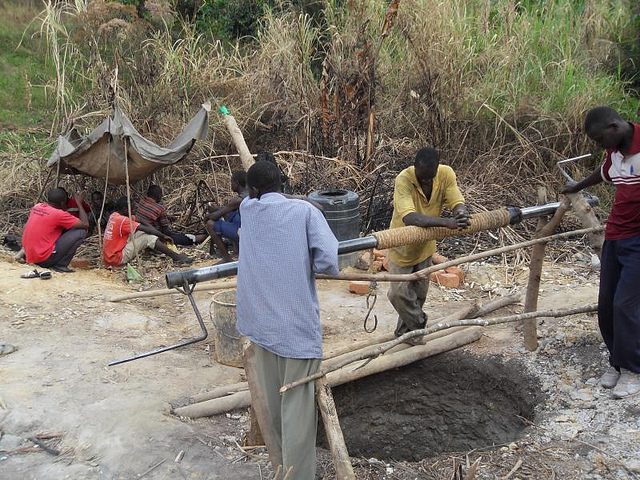 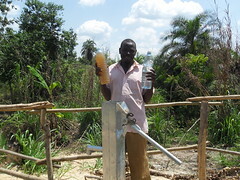 22nd Feb 2012 – on Wednesday we visited the site and found the community busy digging the well. They had reached 23ft but struggling to penetrate a hard but penetrable formation. However we got some sad news that they lost 3 people over the weekend in the neighbouring village. 29th Feb 2012 – Christine and Carol (intern) went to Kisula Mafumu for a sensitisation meeting geared at promoting good hygiene practices more specifically hand washing. 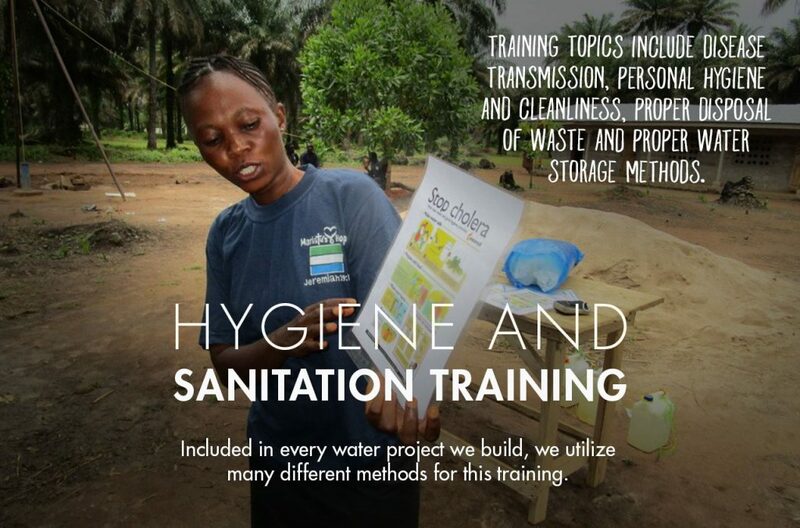 Demonstrations were carried out for the community members to learn how to make tippy taps and also to learn how to wash their hands well with soap or ash at critical times. Many people took part in the hand washing exercise and looked to be enjoying the whole exercise. 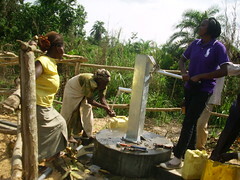 In attendance were the water users and community leaders like the Village LCI chairperson and area councilor. 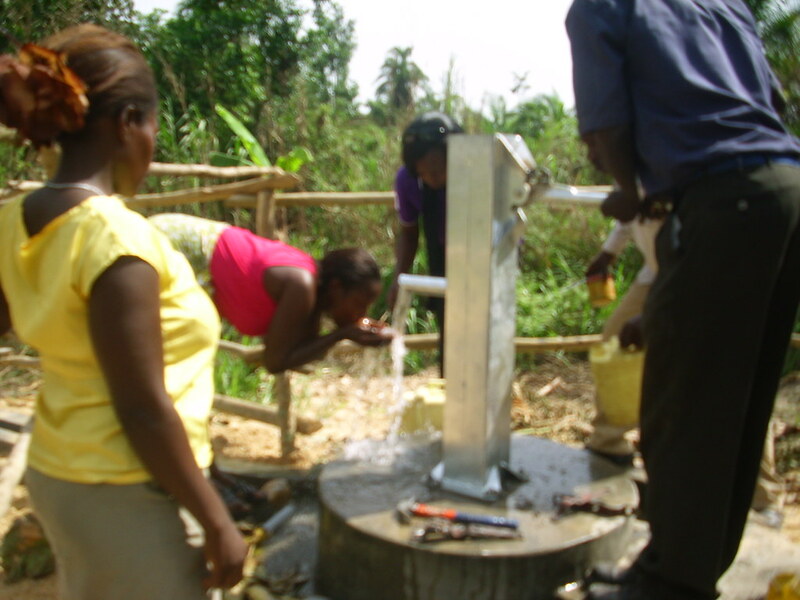 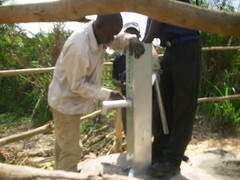 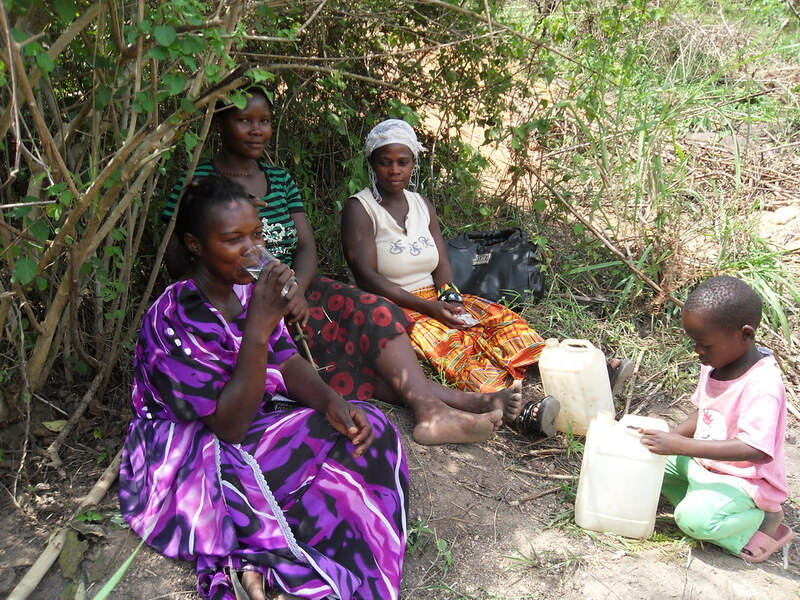 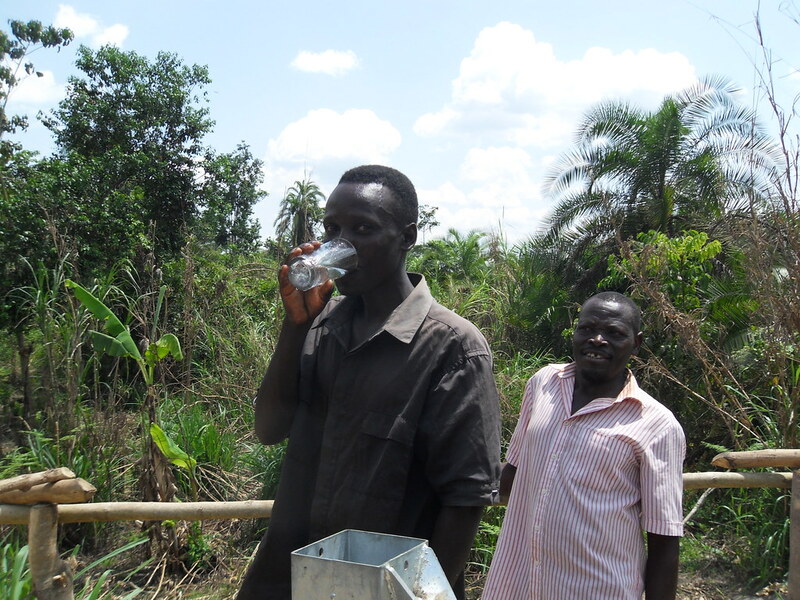 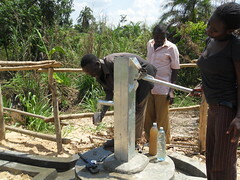 In the same meeting, the community was encouraged to continue taking part in the well construction so that the well is completed on time, as some members had voiced the idea of stopping. 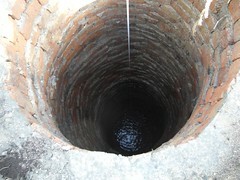 The well is at 28ft and had been lined all the way to the top with bricks, before going deeper as there is only a 5ft water column. 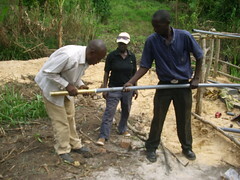 The target is 35ft, but it depends on the attitudes of the community and the sub-terrannean structure.